A traditional hand thrown clay oven with stylish brick arch, it is completely assembled and ready to fire up. 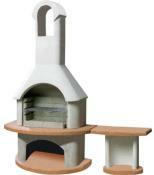 Using hardwood logs to create a fire and temperatures of 400 degrees to cook pizza or bread. Manufactured using modern materials, the oven is layered with insulation and refractory mortar. 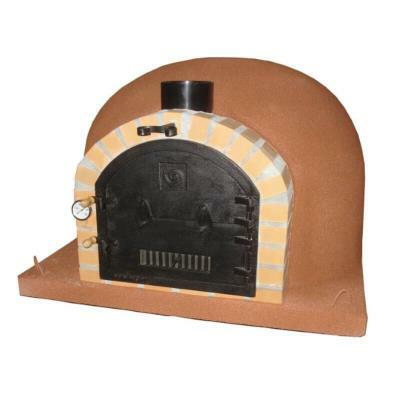 The result is a well insulated outdoor pizza oven with great thermal properties, capable of achieving high temperatures. 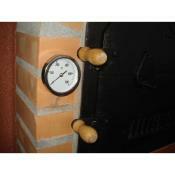 gauge so you can see the internal oven temperature. 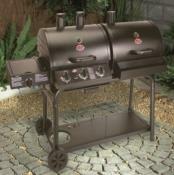 An adjustable choke on the chimney allows you to control heat output. Externally the oven measures 100cm square, internally there is still a huge 80cm in cooking space. 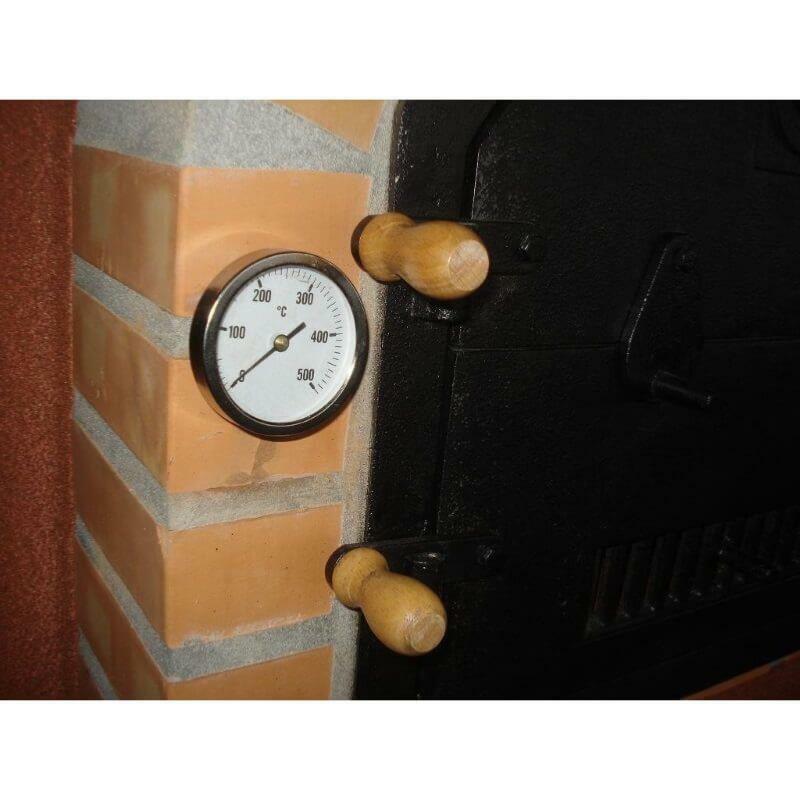 Incredibly easy to use and very efficient, the Mediterrani Royal has a fast heat up time. 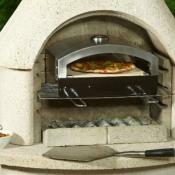 You can have hours of fun with this oven, cooking pizzas in 45 seconds from start to finish. Great for bread too. 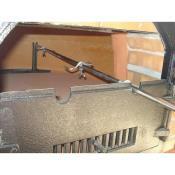 You can also cook a multitude of other foods – casseroles, slow baked roasts. Tandoori or tikka chicken, or how about apple crumble, slowly cooked, for dessert. Traditional Clay Oven - Huge 80cm Internal Size! 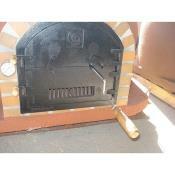 High Quality Cast Iron Twin Door. 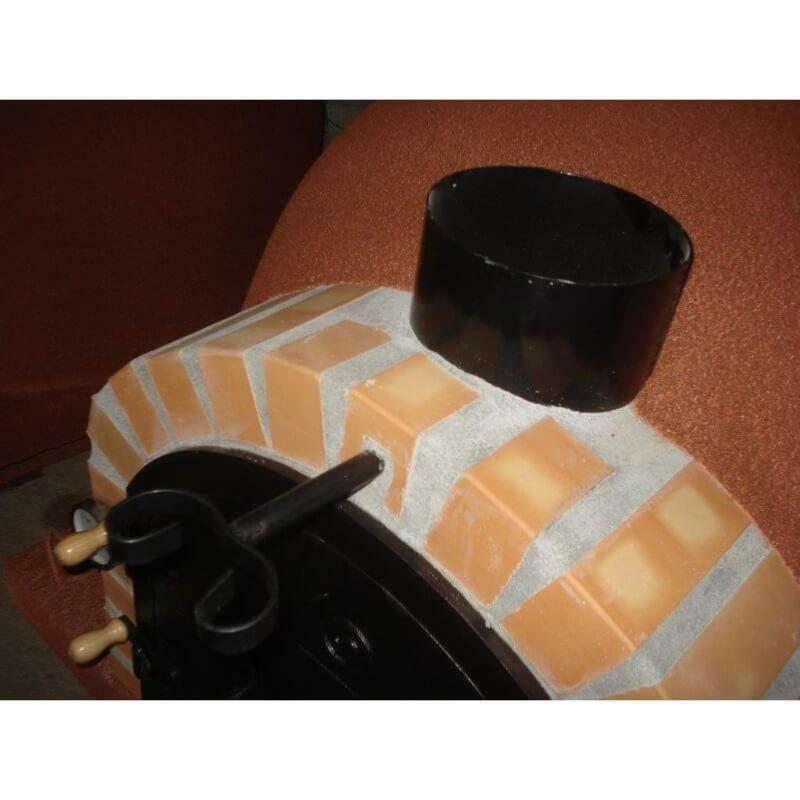 Incredible Insulation - fast heat up with long heat retention. 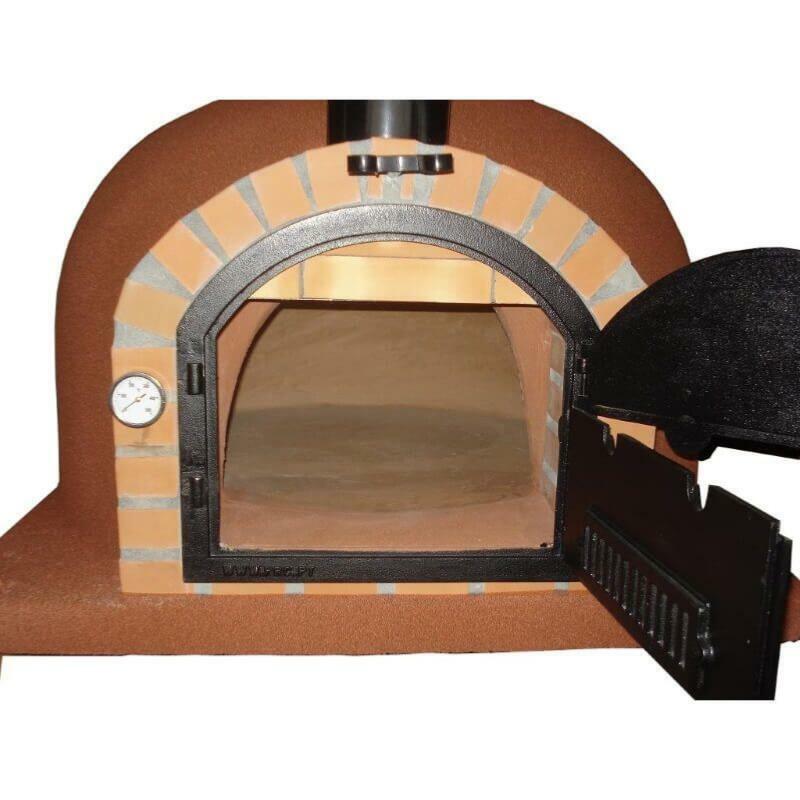 The oven is 500kg in weight so you will need to consider how you will move the oven to your desired location once it is delivered. 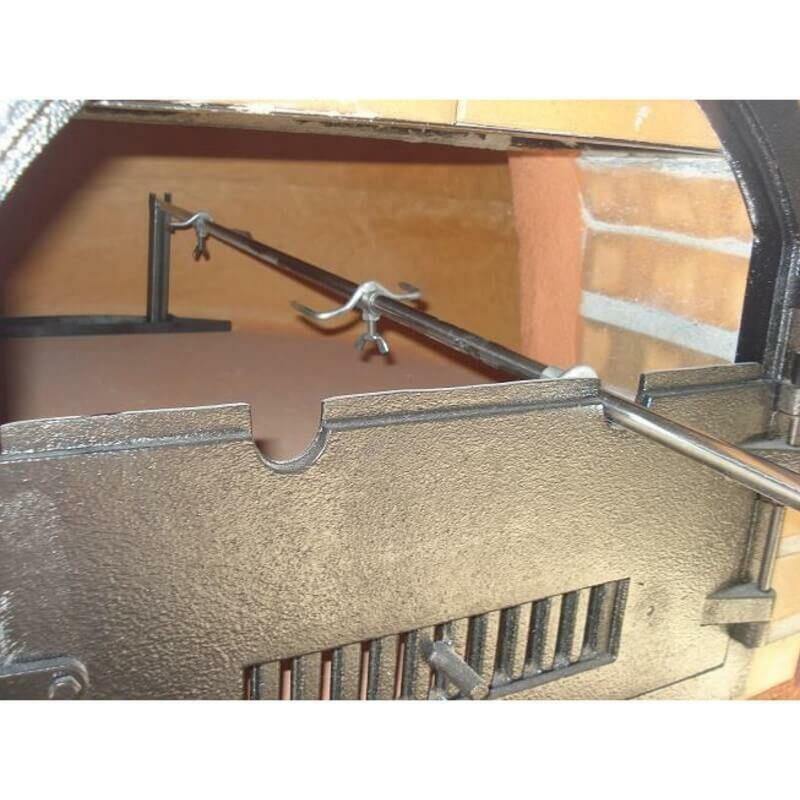 It is too heavy for a group of people to lift so hiring an engine hoist is a popular method of lifting and moving your oven onto a base. Delivered protected in a covered pallet crate.